Fibromyalgia is a painful and largely misunderstood condition that affects millions of people around the world. With all of the misconceptions about fibromyalgia, it can be difficult to get an accurate diagnosis, find effective treatment, and have a realistic outlook for what the future may hold for those with fibromyalgia. Fibromyalgia is a difficult diagnosis to come by. With some medical conditions, such as a broken bone or inflammation, specific scans can be conducted that can provide visible confirmation of the condition. This is not the case with fibromyalgia. Fibromyalgia is a pain disorder that we, honestly, do not fully comprehend. However, through the use of certain criteria, doctors are able to make an inappropriate diagnosis. in the majority of cases, a diagnosis is found through open discussion with the doctor. People with fibromyalgia experience regular pain across the body that lasts for at least 3 months. Obviously, there are other potential causes of pain. Once these potential alternative diagnoses have been ruled out, a doctor can settle on a diagnosis of fibromyalgia. Previous guidelines required the existence of “tender points” that are painful to the touch. This is no longer required, as many times the symptoms of fibromyalgia might not include these specific localized tender points. Treatments for fibromyalgia can vary greatly. The first step in finding a treatment that will work for you is trying to identify an underlying cause, to the extent possible. This will also include trying to localize the pain to one area and finding what helps to relieve the pain. For some people, beneficial treatments would include stretching, physical exercise, massage, talking about underlying causes the pain, finding ergonomic solutions to daily problems or even something as simple does use an ice pack or a hot pack. For other people, though, we need a more dynamic approach. In cases like this, Dr. Grimm may recommend minimally-invasive surgical solutions, prescribed medicines, or make another clinical decision. Regardless of the decision reached, the most important part of a treatment of fibromyalgia is open and clear communication. If you know something small that works, tell us! We may be able to use that to your advantage. The long-term outlook for those suffering from fibromyalgia can be hard to determine. Fibromyalgia is not a disease with a predictable course. Instead, it is a syndrome but can vary from person to person. All in all, fibromyalgia is not typically “cured” the way we might think. Instead, those with fibromyalgia are helped to find solutions to help them deal with pain and manage their lives so that pain can be avoided. This may include using adaptive equipment that will help them more easily do what they need to do, adapting the way they do things, or asking for help for specific tasks. It should be noted that some recent studies have shown a potential mortality risk associated with fibromyalgia. Even though fibromyalgia itself does not lead to death, it can make it harder to deal with stress and problems in one’s daily life. This stress can affect the heart and lead to a higher risk of heart attack, stroke, or another traumatic incident that can be fatal. Therefore, it is urgent the fibromyalgia treatment is started as soon as possible and followed through as closely as you can. Are you suffering from fibromyalgia? Call today to make an appointment with Dr. Grimm so that we can start finding a solution that works for you. Pain is one of the most common problems that face people today. According to some statistics, around 40 million Americans deal with chronic pain on a regular basis. When there’s something traumatic that causes pain, like breaking a bone, it is obvious that professional help is needed. The problem with pain is that it gradually builds over time. If every day your pain only increases a little bit, you hardly notice until it’s too late. At what point should you go to the doctor for your chronic pain? To answer that question, we first need to identify what exactly chronic pain is and what we can do in the meantime. Chronic pain can be a difficult diagnosis to receive. This is because everyone has aches and pains now and then. In order for pain to qualify as chronic pain, it has to last for an extended period of time. The exact amount of time may vary, but typically chronic pain is expected to have lasted for at least three months. Three months is an awfully long time to be dealing with pain, to begin with, so usually, our body has already begun a natural response in order to address this pain. For example, people dealing with chronic lower back pain may have developed a slouched posture. When sitting or standing and leaning forward, they may feel more comfortable. After a few months, they can be difficult to reverse this posture. Another common problem associated with chronic pain is a decrease in the use of an affected extremity. What this means is that someone with a previous right-hand dominance now primarily uses their left hand to perform all needed tasks. Of course, the most predominant symptom is pain, but these signs can help you identify just how serious long-term chronic pain can be. In order to receive the diagnosis of chronic pain, that pain has to last for quite a long time. In the meantime, there are things that we can do. In order to determine the best treatment for your pain, we first have to figure out the cause of your pain. For example, is your pain a muscular ache? Ice packs or hot packs may be able to help. Other techniques, such as mindfulness and meditation, can take your mind off of the pain and lower the intensity you are feeling from the pain. Of course, there are also over the counter pain relievers that can help to lessen the pain. It should be noted that these come with side effects. Make sure you carefully read any warning labels and instructions on medications. Admittedly, though, these are only short term solutions to a long term problem. If you are dealing with pain, no doubt you want a quick fix that will take the pain away immediately. Unfortunately, the sad fact is that there is no miracle drug that would completely eradicate pain. That being said, there is a process that can lead to pain relief. If you have been dealing with pain for upwards of three months or have long-term pain and the above-mentioned suggestions just don’t seem to help, it may be time to call the doctor. Have you been dealing with pain on a long-term basis? Call Dr. Grimm today to set up an appointment for a consultation to determine the best approach to deal with your pain. Chronic back pain affects millions of people every day. For some people, the pain is so bad that they can’t do the things that they used to do. It may keep them from working, spending time with their family, or even just being able to sleep well. Clearly, those suffering from back pain are actively looking for relief. But before relief can be found for chronic back pain, you first have to identify the source of the pain. Since we have figured out the cause of chronic back pain, we can get started looking for a solution. The back is a very intricately designed system, made especially for dealing with heavy loads and constant stress. Between the 33 vertebral bones lie cartilaginous discs designed to absorb the shock and stress from regular use. However, over time and through overuse, these cartilaginous cushions can wear down. Once they have been worn down enough, the discs between the bones are not able to do their job properly, resulting in chronic back pain. There are three specific motions of the spine and back; bending, leaning, and twisting. Any of these motions can be overworked, resulting in pain. For example, we’ve all heard the expression “lift with your legs, not with your back.” This simple phrase can truly save us from a lot of pain. When we lift by bending our back, we put a stream on the skeletal system that supports us vertically. Over time, these bones can wear down, revealing the nerves beneath. These nerves are then easily irritated, causing swelling and pain. Alternatively, if we overexert ourselves leaning to the side or twisting, the structures in the vertebrae designed to limit these movements can be damaged, causing lasting pain in a very similar manner. Another potential cause of back pain is through autoimmune disorders. Conditions like rheumatoid arthritis can cause all over pain, including me back. Other common elements include fibromyalgia and other pain syndromes. In these cases, there was not necessarily one specific event that triggered the pain.this can potentially be more difficult to treat, as the underlying cause is not as readily available. The treatments available to help with back pain or just about as numerous as the potential causes for back pain. Some treatments are very mild, such as applying ice packs or hot packs to the affected area, meditating to take one’s mind off of pain, or a massage. some treatments are more involved, affecting one’s lifestyle. Better implementation of ergonomic principles and job simplification can help reduce the risk of further pain. Dr. Grimm is able to provide more specific recommendations based on your case. Prescription medications, steroid injections, or other clinical approaches may be appropriate to help you find relief from your chronic back pain. Before trying to figure out a plan of action, Dr. Grimm will make sure to talk with you and try to determine the original cause if your back pain. This will help us to treat the true, underlying cause of pain. When we do this, we can find more lasting effects. Do you know where your back pain came from? Share your story of back pain with Dr. Grimm so that he can help you come up with an individualized treatment plan to get you feeling better. For millions of people across the globe, chronic pain is simply a fact of life. 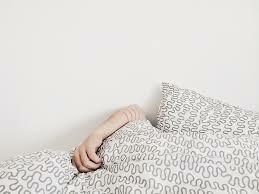 For one reason or another, they wake up every morning to discomfort, aches, and pains. However, many forms of chronic pain are treatable. 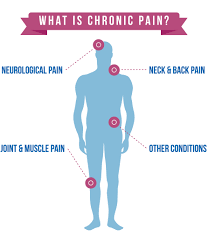 Below are listed a few examples of chronic pain that many people deal with and some treatment solutions that will help bring relief. 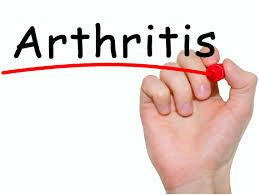 Arthritis is a chronic condition that causes pain, inflammation, and swelling of the joints. The severity of arthritis can vary greatly, with some people only lightly feeling the effects and other people feeling completely debilitated. Due to the location of the pain, people with arthritis typically find it easiest to just not move. arthritis tends to affect smaller joints more intensely, so the hands and fingers times to be painful and swollen. This can prevent people from doing even the simplest of tasks without pain. Although we have all suffered from back pain at one point or another most likely, those who suffer from chronic back pain have dealt with this specific pain for a period of at least three months. Back pain can be caused by any number of triggers. Repetitive movements, poor body mechanics, or sudden trauma such as a car accident can cause pain that lingers for months. Because of the design of our body, just about every action requires back movement of some sort. People dealing with chronic back pain may find that they are frequently returning to bed, the only place they feel comfortable. There are many disorders, such as fibromyalgia, multiple sclerosis, or chronic pain syndrome that cause pain to the body. Although the exact mechanisms may differ from diagnosis to diagnosis, much of the pain feels the same. People with one of the above-mentioned conditions may experience “flare-ups” in which certain areas of the body become swollen, inflamed, or especially painful. During these times, just engaging in a real regular daily routine can be limited. Thankfully, having chronic pain does not have to be a permanent thing. Many people who have suffered from chronic pain have recovered and lead full lives. There are many treatment options available. some treatments are very conservative and do not require much to begin. For example, some people have found benefit through the use of mindfulness or meditation. This can be an effective way to take your mind off of the pain. Focusing on something else, such as the rising and falling of your chest as you breathe, can help you to take your focus off of the pain. Other treatments include therapy, stretching, and exercise to help support the areas that are painful. For example, people with back pain can strengthen the muscles around the areas that are painful and potentially help to support the body in a more ergonomic way. medications are available that can help relieve pain, reduce swelling, or promote healing of chronic conditions. Clearly, there are plenty of possible treatment solutions. The problem we face is that we don’t know what would be best for our condition. Dr. Grimm is an expert in pain management and will be able to help guide you in your process to find relief. Are you dealing with regular, chronic pain? Call us today at 646-862-5555 to make an appointment with Dr. Grimm to start your path to recovery and feeling good again! From the root word Arthro, meaning joint, and the suffix -itis, meaning inflammation, arthritis refers to inflammation in any joint. This inflammation comes with swelling, redness, and pain. The exact joints affected may vary from person to person, but the overall symptoms are generally the same. However, there are a couple of different types of arthritis that present in different ways. The two most common are discussed below. There are also a few key treatment opportunities to help those suffering from arthritis. The more common of the two primary forms of arthritis, osteoarthritis is a disorder that causes degeneration of the joint. Typically, this is due to wear and tear on the cartilage in the joint. Eventually, the cartilage is so worn down but it is unable to cushion the movement of the joint. At this point, it is simply bone moving against bone when the joint is used. This is incredibly painful, both when the joint is being moved and when the joint is still. Typically, osteoarthritis affects older people or those who have undergone repetitive high impact movements. Even something as simple as walking can, over time, have a serious effect on the joint. As the cartilage is worn down, more nerves are exposed and aggravated as the bones grind together making movement uncomfortable. As opposed to osteoarthritis, where the cartilage is worn down through youth and overtime, rheumatoid arthritis is actually an autoimmune disorder. In cases of rheumatoid arthritis, the body itself identifies the lining of the joint as a potential threat and works to attack it. This attack can cause pain, redness and swelling, and difficulty in moving the joint. Rheumatoid arthritis has a genetic component, meaning that a history of rheumatoid arthritis makes it more likely that you will suffer from rheumatoid arthritis. Rheumatoid arthritis can affect people of any age and can begin at any time. These two forms of arthritis, while both causing inflammation of the joint, work in very different ways. Both forms of arthritis can also make it more difficult for people to get moving, especially in the morning. However, as rheumatoid arthritis is an autoimmune disease, it tends to affect the body symmetrically. 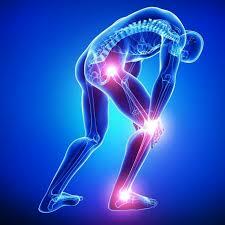 Osteoarthritis, being caused by repeated injury or fatigue, tends to have one side more affected than the other. In addition, rheumatoid arthritis tends to affect the smaller joints first. People with rheumatoid arthritis typically have swollen, painful joints in their fingers. People with art osteoarthritis tends to find the most affected joints are the larger joints, like the hips or the knees. There are many treatment opportunities for arthritis, ranging from less intensive and invasive solutions to surgery. Some of the simplest things that you can do to treat both rheumatoid and osteoarthritis include making changes in one’s lifestyle. Cutting out fatty, greasy foods will help reduce inflammation in the entire body. Regular participation in exercise will increase the body’s response rate to inflammatory conditions. If these simple solutions don’t seem to help, over the counter pain relief medication may be able to help. In more severe cases, Dr. Grimm will be able to make a more specific recommendation with regard to specific medications, surgical procedures, or other treatments to help reduce the pain caused by arthritis. Are you dealing with arthritis? Make an appointment with Dr. Grimm to go over treatment solutions that may help you. Chronic back pain really is, well, a pain! 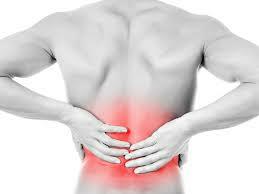 Many people across the world deal with regular, chronic pain in their back. There are plenty of over-the-counter treatment solutions that may help. 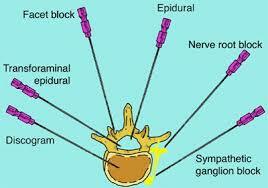 But in many cases, a spinal injection can be just the right thing to relieve your pain. but what are some of the causes for back pain? What can we do to remediate pain in the meantime? And how do spinal injections help? Our back is one of the most frequently used parts of the body. Sitting, standing, leaning, twisting, bending, and lifting all require the key muscles in our back to activate and the specific spinal structures in our back to work properly. Over time, this constant use wears down the cartilaginous discs that cushion the space between our vertebrae. This leads to swelling, redness, and pain. Poor body mechanics and posture can also contribute to back pain. Completing the same tasks over and over, such as lifting boxes for moving or picking up objects off the floor, gradually wears down the structures in the back that are required for stability. Other conditions, including autoimmune disorders, can cause pain in the back in a similar fashion. In the unfortunate scenario of some kind of trauma, such as a car accident or other injury, the structures in the back can be severely affected, putting more pressure on the nervous system and causing pain. Thankfully, there are things you can do right now to deal with your back pain. This includes simple, easy solutions like using ice packs or hot packs around the painful area. Good ergonomic techniques when used during strenuous activity can help prevent further degradation or trauma to the back. Stretching and strengthening the muscles in the back and associated areas can help support the parts of the back that are at risk for further damage. Over-the-counter pain relief medications may help to reduce swelling and pain in the affected areas temporarily. However, it must be noted that anyone these solutions only offer temporary relief. In order to really affect a lasting change, the root cause of the problem must be addressed. Spinal injections are a proven, beneficial way to reduce pain and swelling in the spine and back. In a spinal injection, a small amount of medication, typically a steroid or pain reliever, is injected into the painful region in the spine. This medication helps both with reducing pain and lowering swelling. For some people, these spinal injections help to relieve pain for years at a time. For others, the effects of these injections only last for a few days. Even when this is the case, the momentary relief can give you a head start on recovering from whatever caused your pain in the first place. For example, if you have a bulging disc in your back and receive a spinal injection for treatment, the swelling may go down to allow for stretching and strengthening of the surrounding area that brings the inflammation to a manageable level. At this point, more conservative treatments can be pursued and a long-term solution can be found. Do you suffer from chronic back pain? Make an appointment with Dr. Grimm to find out if spinal injections may help you. When dealing with pain, there are a number of different possible treatment approaches. The exact treatment used will vary based on a number of factors. 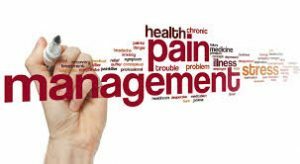 The underlying cause, the severity of the pain, and how intensive of a treatment someone wants are all aspects that have to be considered before determining the medical management method desired. Below are outlined a few different variations in treatment based on the factors mentioned above. The original cause of pain is something that must be taken into consideration before determining the treatment approach to remediate side pain. For example, if someone initially injured their back through a repetitive motion injury and the pain has not subsided, it’s important to look at that repetitive motion and make sure that it’s not being done anymore. This is not necessarily as simple as it sounds. As a group, humans tend to find an easy and easily repeatable way to do something that needs to get done over and over again. This is an excellent way to gain efficiency and productivity when repeating tasks. However, when this rote routine causes just a small amount of pain, the effects of the pain are multiplied many times over based on how often the task is done. In other cases, when a traumatic event causes pain, such as a car accident or an injury, that injury itself must be completely healed before pain relief can be expected to begin. Still, other people experience pain due to pain syndromes. Conditions such as fibromyalgia can cause regular and seemingly random pain. Obviously, the treatment approach for dealing with this pain must be different than dealing with other forms of pain. Pain is a fairly subjective object. We all experience pain differently, and pain can be compounded. Therefore, simply rating ones pain on a scale of 1 to 10 is not usually enough the truly identify the type of pain that we are dealing with. Talking about pain can be difficult. Other descriptors essential to finding out the true nature of the pain. Cutting, burning, stabbing, aching, throbbing, tingling, and similar adjectives help us to narrow down what the true sensation that you are experiencing is. Unfortunately, doctors can’t read minds. That is why open communication with your doctor is going to be essential in dealing with chronic pain. Not all pain management treatments are created equal. Sometimes, simply taking a few breaths can help to lower pain to a manageable degree. Of course, that’s not always the case. The intensity of the treatment is largely decided on based on your personal preference as the patient. Less invasive treatments, including ice and heat, stretching, and exercise, will provide a less drastic result. More intensive treatments, like the use of prescribed medications, biofeedback systems, massage, and therapies, will be able to help manage higher levels of pain. In cases where these treatments are not effective enough, more invasive treatment opportunities exist. 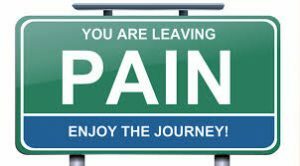 Surgeries, steroid injections, and other clinical options are usually recommended for those dealing with very intense, long-lasting pain. It is typically recommended that we start with the least invasive and most conservative treatments possible. 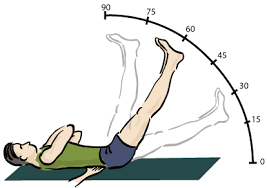 If something as simple as stretching does not help, we can try something like a biofeedback system. If this biofeedback system doesn’t work, then we can look at medication. If medication doesn’t help, injections may be the answer. Are you wondering what medical management method would work best for you? Schedule an appointment to talk with Dr. Grimm about your individual case and how we can help. Studies have shown that the knee is one of the most vulnerable joints in the body. We all constantly use our knees. Walking, driving, riding a bike, or even just sitting at an office desk can put stress on our knees. Over time, our knees can develop pain. When people have knee pain, one of the first treatments they think of might be cortisone shots. But will cortisone shots help you? 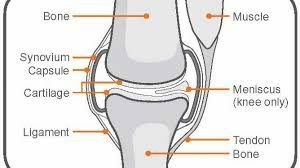 in order to answer that question, we first have to look at the anatomy of the knee, what causes knee pain, and how cortisone shots can help. Functionally speaking, the knee is a fairly simple joint. As a comparison, look at the hip. our hips can move in three different planes; forward and back, sideways, and rotationally. Now, look at the knee. Then you can only do two movements, bending and straightening. This makes them very efficient and effective joints for the necessary daily task of walking. However, it also puts the knee in a particularly unprotected situation. If for some reason, a force is applied that would require the knee to move sideways or rotate, these movements are blocked by bony restrictions. if enough force is applied, these bones can break or cartilage can be degraded. Either situation also brings along pain and swelling. Additionally, the kneecap is held in place by ligaments. When under stress, these ligaments can stretch, tear, or even snap. 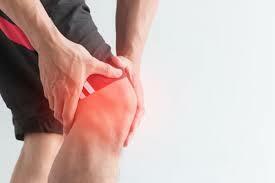 The most common cause of knee pain is overuse. Many knee injuries happen while playing sports. Snowboarding, basketball, and soccer are all common culprits for causing knee pain. Knee pain can also simply be caused by repetitive motion or additional strain from lifting. 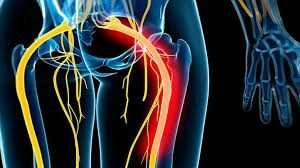 Problems in the lower back, such sciatica, can cause a referred pain that is felt in the knee but originates elsewhere. Autoimmune disorders can cause swelling and inflammation of the knee for no apparent reason. Whatever the initial cause of the pain in the knee is, it can be difficult to give the knee time to heal. One common acronym to help people remember how to recover from an injury is RICE. This stands for rest, ice, compression, and elevation. Whenever we have knee pain, we might rush to get an ice pack, elevate our leg, or even put on a compression bandage. It’s hard to give the knee time to rest, though. Because it is so essential in such a basic skill, walking, we use our knees far more often than we think. This just draws out the amount of time it takes for our knees to heal from whatever injury we are dealing with. Additionally, bad posture at our workplace, in the car, or at home can put constant strain on the knees and make recovery even slower. 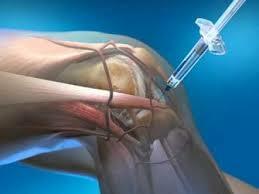 Cortisone shots are a common treatment for relieving knee pain. Cortisone acts to reduce swelling, minimize pain, and assist with recovery. But cortisone shots are not the answer for all pain found in the knee. For example, referred pain caused from tight muscles in the lower back, poor body mechanics, or autoimmune disorders are not simply problems in the knee. 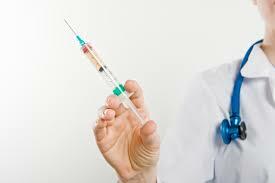 Therefore, any relief found through cortisone shots would only be temporary. In order to really solve the problem, we would have to thoroughly discuss are symptoms with a doctor who is familiar with the affected area. Are you dealing with knee pain? Call Dr. Grimm to make an appointment for a consultation to see if cortisone shots, or some other treatment, will help you. The simple answer to the above raised question is: back pain in the sciatic nerve. However, this raises additional questions. How can you identify sciatica? How can sciatica be treated? And what can be done to relieve sciatic pain? How can you Identify Sciatica? Thankfully, sciatica can be fairly easily self-diagnosed. Sciatica can be recognized by back pain along the sciatic nerve. The sciatic nerve runs along the lower end of the leg, from the hip down. Whenever pain is consistently experienced in the hip, buttocks, and posterior leg, sciatica is potential. The sensation is not necessarily strictly one of pain. It may also demonstrate numbness, tingling, or generalized weakness. However, not all pain in the lower back or upper leg is caused by the sciatic nerve. One tell tale signs of sciatic nerve pain is a radiating sensation that ranges from the upper leg to the foot. There are many reasons sciatica may develop, including overexertion, poor posture, or injury. Regardless of the cause of sciatica, many times it can be treated without the use of surgery. Typical treatments to relieve pain include gentle stretches, regular exercise, and proper ergonomic positioning when seated for an extended period of time. 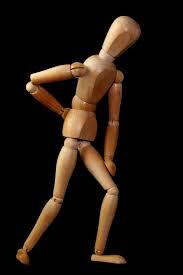 Any activity that puts excessive strain or pressure on the lower back or upper leg can see erratically cause sciatica. If you feel you have sciatica, talk to your doctor. They will be able to perform an examination that will provide a definite answer, as well as offering their expert opinion for treatment and prognosis. Sciatica can be treated in a number of ways. Common treatments for sciatica include stretching, exercise, and education on ergonomics and body mechanics to improve posture when sitting, standing, or lifting. 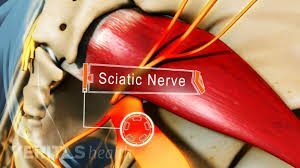 Any activity that can put additional pressure on the sciatic nerve can theoretically cause sciatic pain. Therefore, it is essential to understand the benefit of early intervention. Additionally, treatment may include use of medications, procedures such as nerve root blocks or numbing of the sciatic nerve, or- in extreme cases- surgery. However, typically sciatic pain can be relieved without invasive means. What can be Done to Relieve Sciatic Pain? Once sciatic pain has been relieved, the primary stuff is maintaining pain relief. In instances where sciatic nerve pain was caused by injury, avoiding activities that can cause repeat injuries is essential. One common technique to avoid such injuries is the use of good ergonomic principles. For example, lifting with the legs as opposed to the back can decrease the risk of nerve impingement and sciatic pain. Alternatively, sciatica pain can come from something as simple as having a large wallet in one’s back pocket. Once the pain has subsided, maintenance includes nothing but removing the wallet in question. Occasionally, pregnant women may experience sciatic pain. Obviously, eventually this will go away once the baby is born. However, good ergonomic principle should still be maintained during pregnancy to ensure comfort and limit pain. Are you experiencing sciatic pain? Schedule an appointment with Dr. Grimm to discuss the cause and possible treatments today. Those who experience regular pain may wish they could simply “turn off” the nerve causing the pain. Through the use of a spinal cord stimulator, something along these lines can be done. Although it is not as simple as flipping a switch, a spinal cord stimulator can relieve pain and increase function in one’s daily routine. 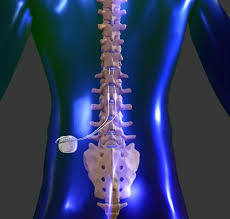 A spinal cord stimulator provides electrical stimulation to the spinal cord. This electrical stimulation is that a precise frequency and in a precise location so as to interrupt the transmission of pain signals. While interrupting these pain signals, the spinal cord stimulator effectively shuts off the connection between the source of pain, in this case the spine, and the pain reception site in the brain. However, it must be noted that a spinal cord stimulator does not eliminate the source of pain. Instead, it serves as an inhibitor, limiting the amount of pain that is understood by the brain. It should also be noted that a spinal cord stimulator does not reduce 100% of the pain. On average, a spinal cord stimulator can be expected to relieve somewhere between half and three-quarters of the pain experienced. This is an excellent Improvement for many. These pain signals cannot simply be interrupted, but must be replaced with alternate signals. Some spinal cord stimulator devices replace this pain signal with a signal that the brain interprets as a tingling sensation. Some people do not feel that a spinal cord stimulator Works effectively enough to be used in a long-term basis. 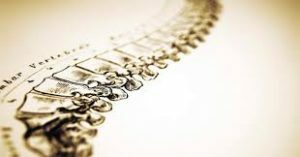 Therefore, it is typically recommended that a trial period of spinal cord stimulation is utilized first to establish whether or not it is an effective treatment for you. Who Should Consider a Spinal Cord Stimulator? Spinal cord stimulation should not be simply viewed as a one-size-fits-all treatment for any minor back pain. Instead, spinal cord stimulation can serve a necessary function in long-term pain relief for those who experience chronic pain that cannot be treated otherwise. Less invasive treatments such as exercise, therapy, massage, stretching, mild medications, and injections should be looked to first. If these treatments fail, the doctor must then look to see if the pain can be treated at the source and the problem can be solved. Additionally, some minor surgeries may provide longer-lasting outcomes. 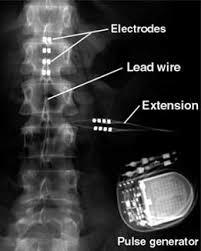 Spinal cord stimulators require electricity and are therefore run off of batteries. These batteries will regularly need replaced and can be an expensive solution. Therefore, spinal cord stimulation should be weighed heavily against alternative treatments. All of that being said, spinal cord stimulation can provide lasting relief, and that is priceless. Spinal cord stimulator will be implanted once a test run has demonstrated that it is an effective option for pain relief. Your doctor will provide specific recommendations before this trial is completed. Typically, this will include going over blood test results, x-rays, electrocardiogram, medical history including allergies, reactions to anesthetics, current prescriptions and medications, and family history. Once all of these boxes have been checked, the surgery can be undergone. During the surgery, you will be lightly sedated. Anesthetics will be provided at the incision locations, as leads are placed into the back. These leads are carefully located around the side of pain to provide stimulation of specific nerves while not overflowing to other areas. Once in place, the leads are then tested and a generator will then be implanted. Typically, this generator is placed around the hip below the waist. Once all wires and pieces of equipment are properly in place, the incisions are sewn shut and the patient will wake up. The surgery is typically an outpatient operation, so you will be discharged the same day. It is important to note that whenever anesthetics or sedatives are used, one should not operate heavy machinery such as driving. 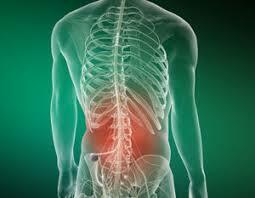 Do you think a spinal cord stimulator would help with long-term pain relief for you? Talk to Dr. Grimm today about your pain relief.